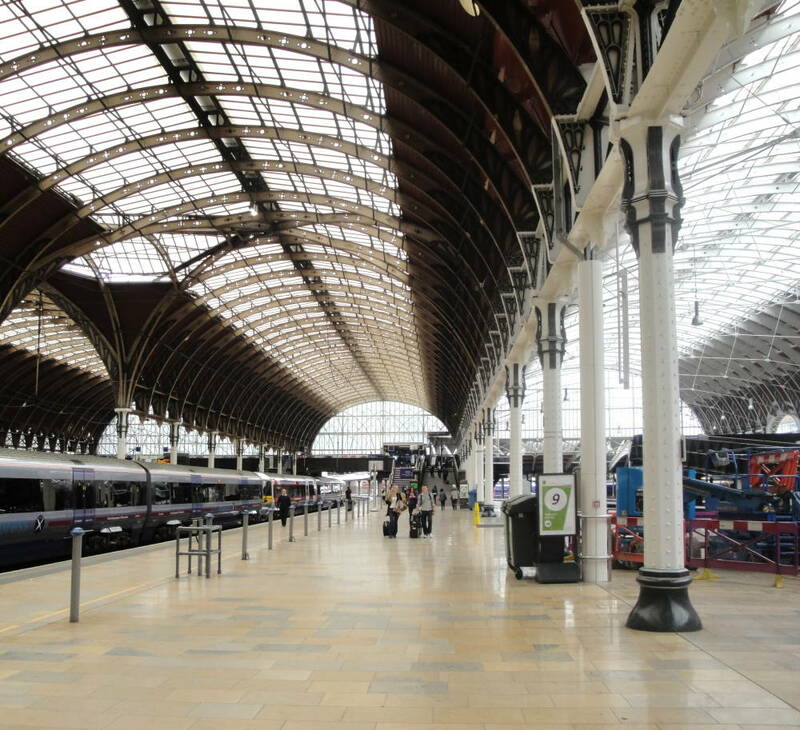 The Great Western Railway Terminus, at Paddington. London. 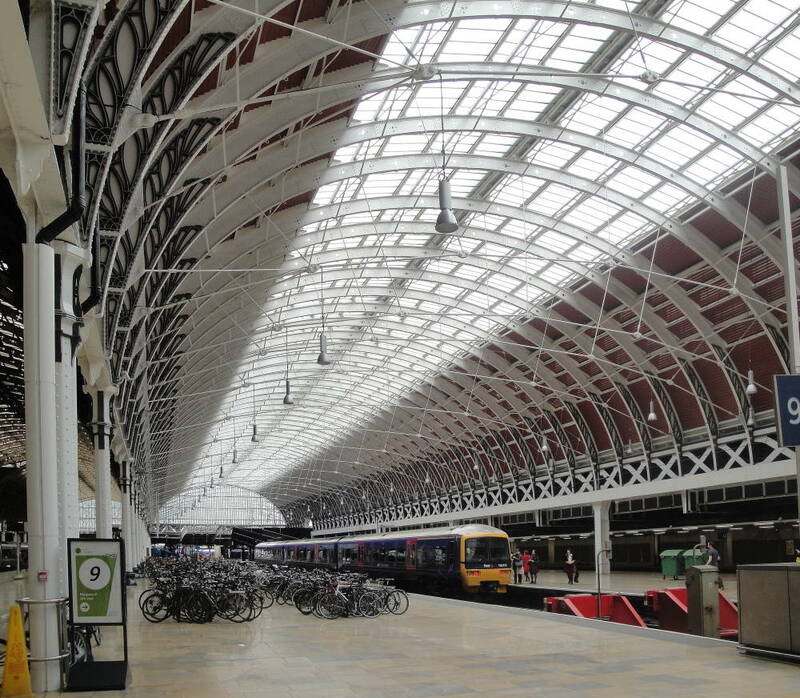 Designed by I. K. Brunel and M. D. Wyatt. Source: The Illustrated London News (8 July 1854): 14. 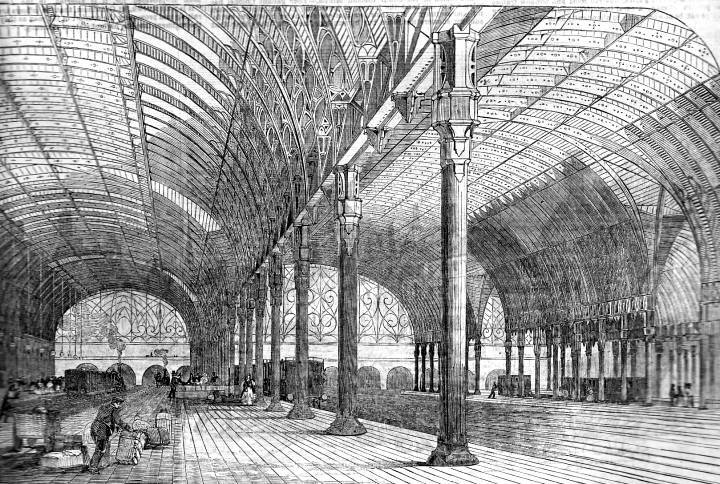 Here is Brunel writing to Matthew Digby Wyatt on Paddington — months before the completion of Paxton’s Crystal Palace , which housed the Great Exhibition of 1851. 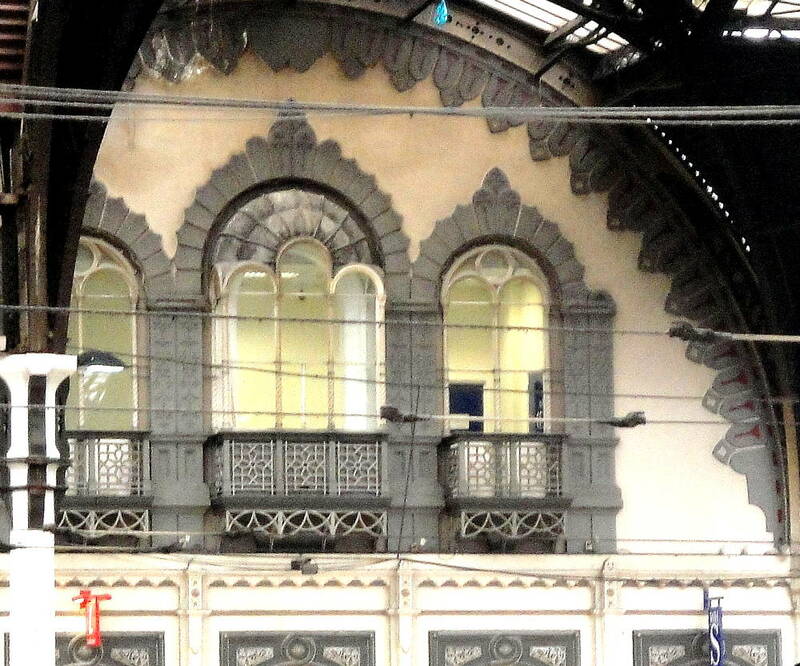 Left: Indo-Gothic window details inside the train shed. 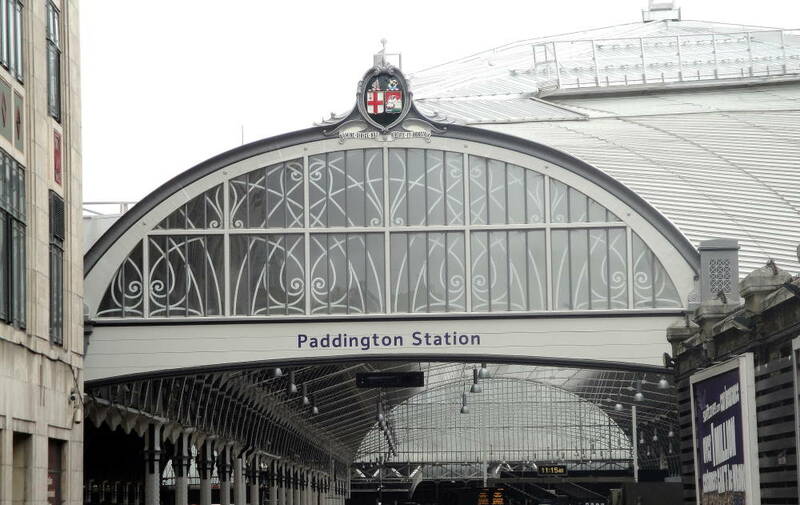 Right: Entrance for vehicles and roofline of Paddington Station.